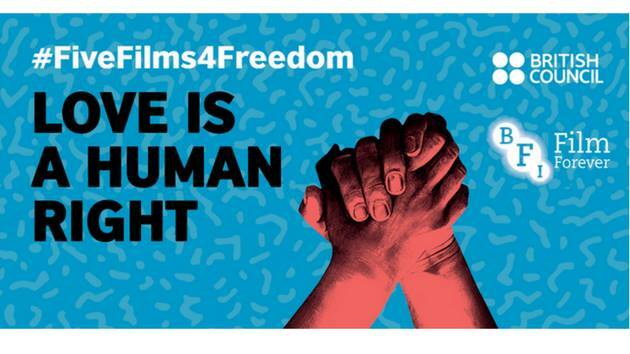 The British Council and the British Film Institute have teamed up for the third year to bring the world’s first global digital short-film program, #FiveFilms4Freedom, to audiences, and they are bringing it to The Abbey in Orlando tonight, Nov. 9, starting at 6:00 p.m. The program is a collection of both dramatic and documentary short films that tell the LGBTQ experience. The films selected to be a part of the event are, for the first time, all from the United Kingdom and include; Crush (directed by Rosie Westhoff), Where We Are Now (directed by Lucie Rachel), Heavy Weight (directed by Jonny Ruff), Still Burning (directed by Nick Rowley) and Jamie (directed by Christopher Manning). Orlando is the first stop on a multi-city tour the British Council and the British Film Institute are making with #FiveFilms4Freedom in the month of November. Other event locations include Los Angeles and New York City. Each stop will include the screening of the five films, an LGBTQ panel discussion and a networking reception. The panel at the Orlando event will be moderated by Sherri Absher from the One Orlando Alliance; and will feature panel guests Heather Wilke of the Zebra Coalition, Terry DeCarlo of the GLBT Center of Central Florida and Joe Saunders of Equality Florida. British filmmakers Westoff and Ruff will also join the panel. The event will feature State Representative Carlos Guillermo Smith as the evening’s keynote speaker and special guest speaker Orlando filmmaker Vicki Nantz. The event is free to attend and open to the public. You can register to attend by going here.